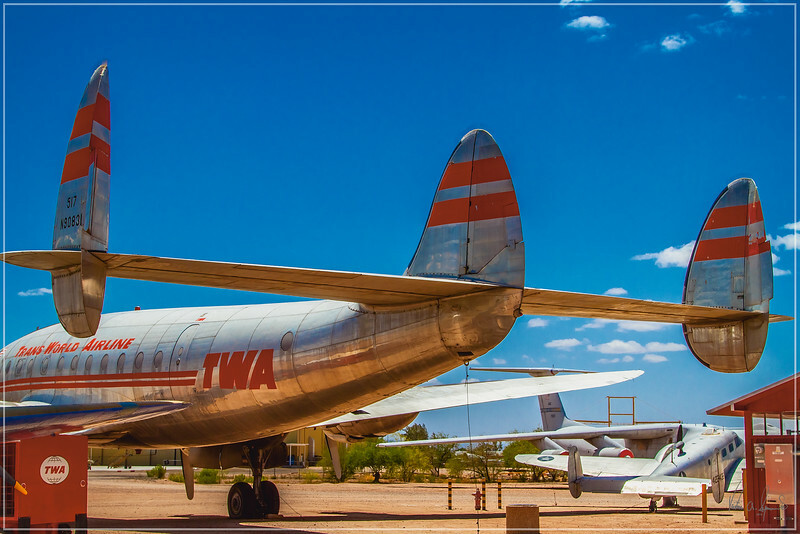 AT THE PIMA AIR AND SPACE MUSEUM IN TUCSON, ARIZONA . THE AIRCRAFT IS A LOCKHEED "CONSTELLATION" L-049 (C-69), IN TRANS WORLD AIRLINES (TWA) COLORS. FOUR WRIGHT R3350-35 RADIAL ENGINES PRODUCING 2,200 HORSEPOWER EACH.